Emily Stone creates her Copper Creatures from her workshop near Dover in Kent. 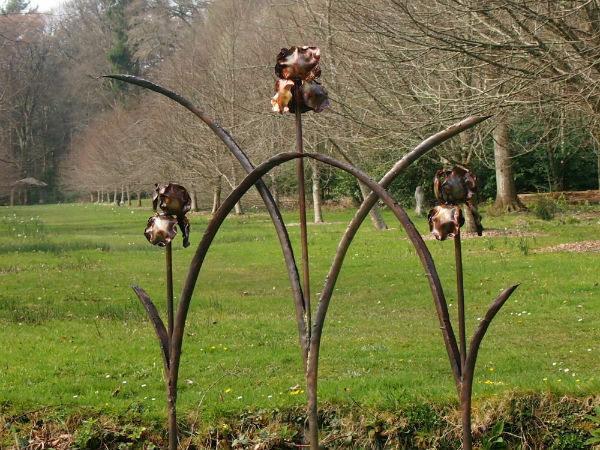 Having studied art at Canterbury and then Hereford, in 2001 she started sculpting full-time, since when she has exhibited widely around Britain, and is delighted to be returning to Delamore. She enjoys the versatile nature of copper, creating tactile forms of the essence of the subject. Copper can be coloured by heating, and lacquered to keep those colours, which provides stunning contrasts as it ages, giving each piece an extra sense of character and spirit.